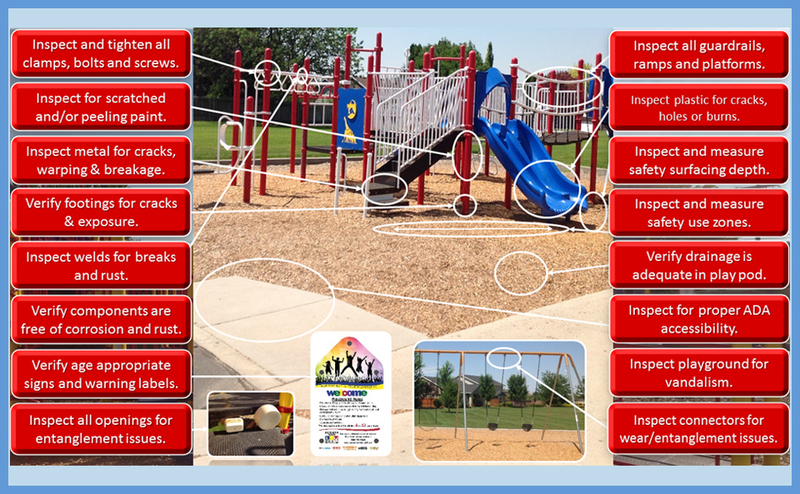 You will reduce the liability for your playground area by showing a regular maintenance and inspection schedule. You will ensure the safety of the children who play on your play equipment. We check for any loose bolts and tighten them at time of inspection. We give you clear inspection records, and notate any missing, damaged or worn equipment in our comprehensive inspection report. Our report shows high, medium, and low priority repairs notated clearly for your review. All problem areas have clear photographs attached of the problem that needs to be fixed. Photographs are taken of your equipment at the time of inspection to ensure proper record of the equipment condition on the date of inspection. We are National Playground Safety Institute (NPSI) certified inspectors. 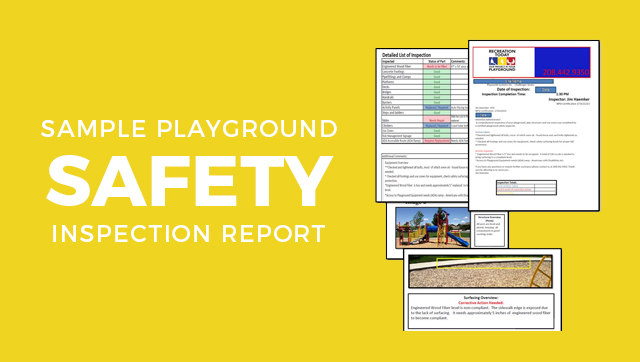 The overall goal for having Playground Safety Inspections is to ensure that the owner of the product has the best protection against litigation. 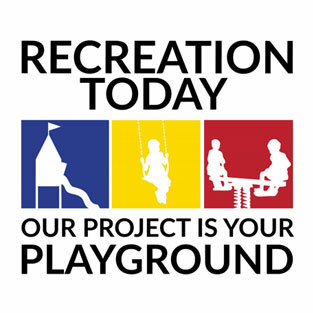 Recreation Today offers inspections for playgrounds at schools, daycares, religious organizations, homeowners’ associations, and other commercial playgrounds. Our inspections are conducted by Certified Playground Safety Inspectors (CPSIs) who are trained by the National Parks and Recreation Association’s National Playground Safety Institute. Recreation Today is NPSI certified with full turn-key service and design capacity. Every one of our CPSIs is a recreation professional who has years of experience in the playground industry. Playground safety inspections are important for two reasons: they help to keep your playground safe, and they help to protect your organization legally by maintaining a standard of care. A playground safety inspection by a certified inspector can reveal structural problems and environmental conditions that you wouldn’t otherwise discover, so you can make changes before an accident occurs. In the unfortunate event that something does happen, an inspection report is written documentation of your playground safety efforts. Inspections can be high frequency, for busy playgrounds, or low frequency, for those that see comparatively little use. We offer Playground Safety Inspection Plans, tailored to your needs. For high frequency needs, choose from monthly, quarterly, semi-annually, or annually for a period of years. Low frequency inspection plans are generally offered annually for a period of years -or whatever suits your playground needs! Playground inspections are based on the U.S. Consumer Product Safety Commission’s (CPSC) public playground safety guidelines, and the following ASTM International standards: F1487-05, “Standard Consumer Safety Performance Specification for Playground Equipment for Public Use,” and F2223-04, “Standard Guide for ASTM Standards on Playground Surfacing”. Our playground inspectors examine every piece of equipment, your playground surfacing, the playground borders, and any other item found in the play area. The inspectors do what kids do best: climb, pull, jump, and crawl all over (and under) the play equipment, giving it the same rigorous physical pressure that it receives every day. Inspectors take careful measurements and photos, to compare the condition of the equipment with the prevailing CPSC and ASTM safety standards. If you want to meet with our inspector before or during the inspection, we’re happy to meet with you! Do you have any questions about our playground safety inspections? Please call us at (208) 442-9350 or (800) 481-8705, or contact us for questions or to schedule your inspection.